When it was revealed that the entrance to Deepholm (the elemental plane) was through the Maelstrom, some players complained it wasn't epic enough. Blizzard disagreed, but to make sure it was sufficiently epic enough for everyone they added a bit. 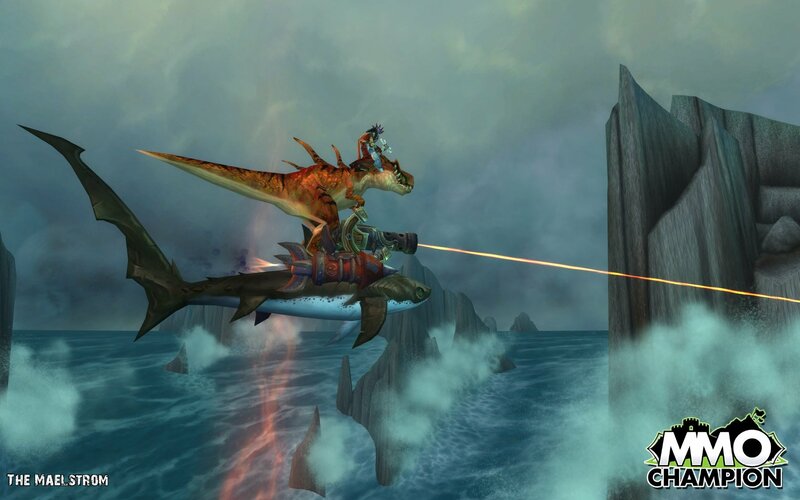 A GUITAR-PLAYING UNDEAD ROCKING OUT ON TOP OF A DINOSAUR RIDING A FLYING SHARK WITH A FREAKIN' LASER. Hahah, this is pure gold! Is is real?